When you want your ornamental garden to look its best you need to regularly maintain it. Depending on your garden design, you may be fine with twice a year pruning and Spring and Winter cleaning to remove debris which can foster disease, or you may need more regular: monthly/bi-weekly weeding, dead heading, pruning or ornamental trimming. Whatever your needs are we will be happy to help maintain your garden to help it reach its full potential. 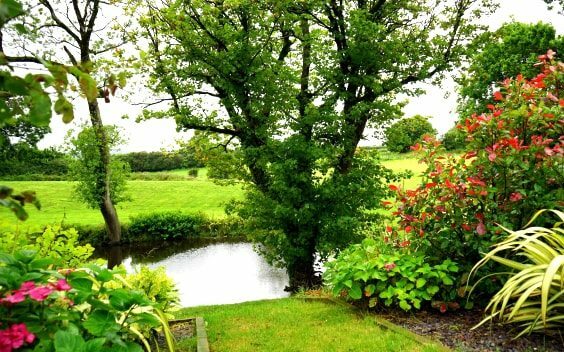 Ornamental Garden Maintenance is a very popular service that is charged by the hour. Spring, debris and leaf cleanup as well as weeding is available in as little as 3 hours visits with additional hourly increments at a very competitive rate. With this service we also offer planting of Spring annuals and perennial shrubs up to 2 gallons in size. Our hourly rate is very competitive and close to 35% less than those offered by some Ottawa nurseries. Our gardeners have exceptional attention to details that sets us apart from most companies offering similar services.